John Sutton has kindly produced an interesting video that highlights some of the major projects that Fleet Pond Society (FPS) has carried out in 2015. This video was first shown at the FPS AGM last Saturday. 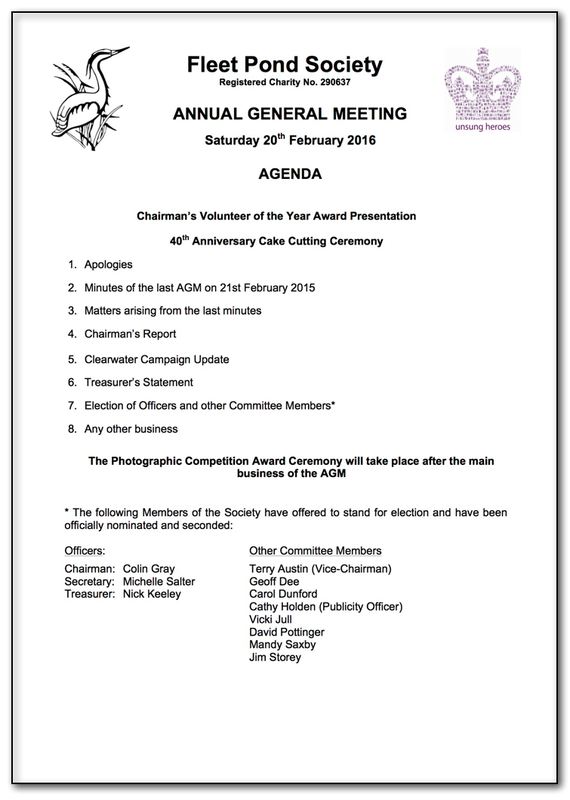 A full write up of the AGM will be published shortly. More information on the important Clearwater Campaign can be found here. In the February 2016 issue of Hampshire Life magazine there’s a two page spread entitled ‘Things to do in Fleet“. It then goes on to give recommendations under the categories: Take a Break, Explore, Lunch, Learn a New Skill and finally Eat & Sleep. 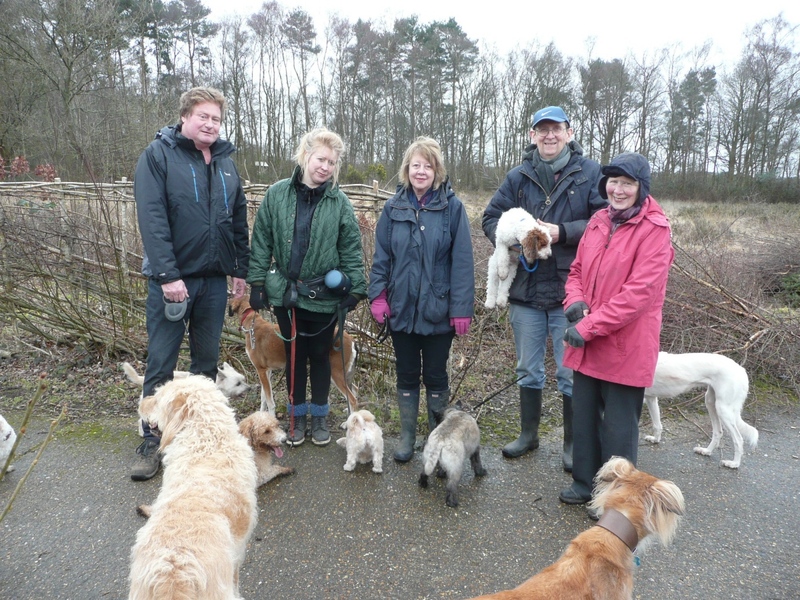 Nice photo of a group of dog walkers and their various dogs enjoying a relaxed walk around the Pond. 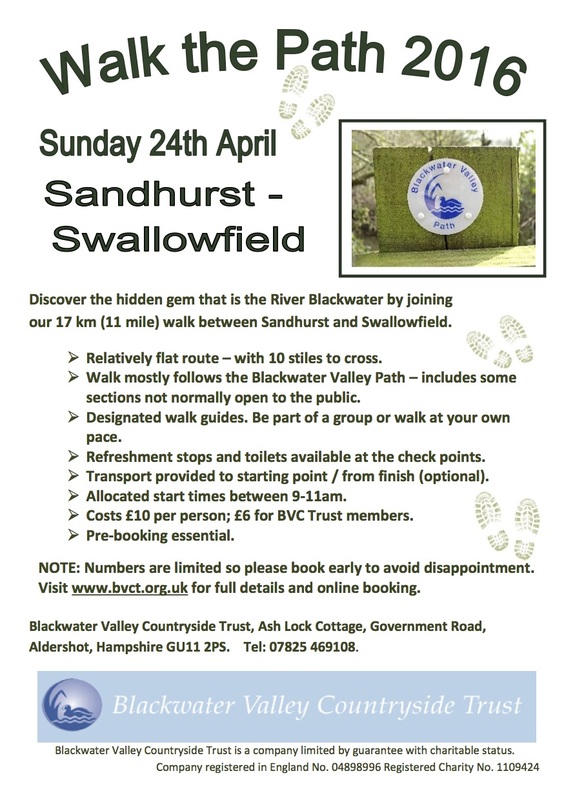 It’s one example of the many ways that visitors benefit from having Fleet Pond as a local nature reserve. 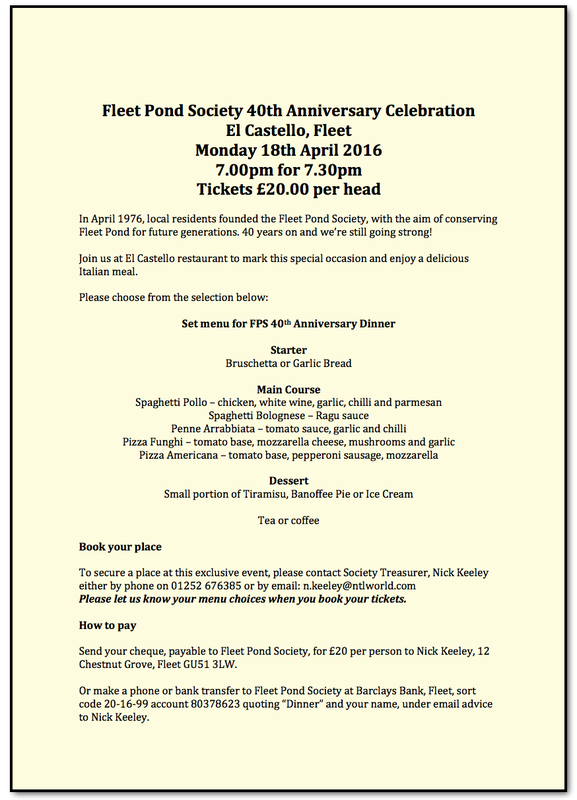 Fleet Pond Society (FPS) will be having it’s AGM this Saturday, 20th February 2016. Details of the meeting can be found below. “We will be celebrating Valentine’s Day by doing some more crucial work up on the Dry Heath by the reserve car park. Birch to remove and some gorse to coppice. We have decided to throw caution to the wind – well in a carefully selected site anyway – and have a bonfire near the work site. There is already a pile of cut material to burn as a start. Weather permitting, this means we could have potatoes to bake so why not take one home as a Valentine present? Ed. I’m not sure the gift of a warm potato is the best way to a loved one’s heart but perhaps it’s the thought that counts 🙂 Either way, we wish everyone a happy Valentine’s Day! You are currently browsing the Fleet Pond Blog blog archives for February, 2016.